Andrew Johnson) out as a champion of the south and forgiveness. In fact he is made considerably more of a hero than history tells us he was. All in all it was an excellent picture but it was very tense and very dramatic. x-----x Well, dearest, must close now but will write more later. 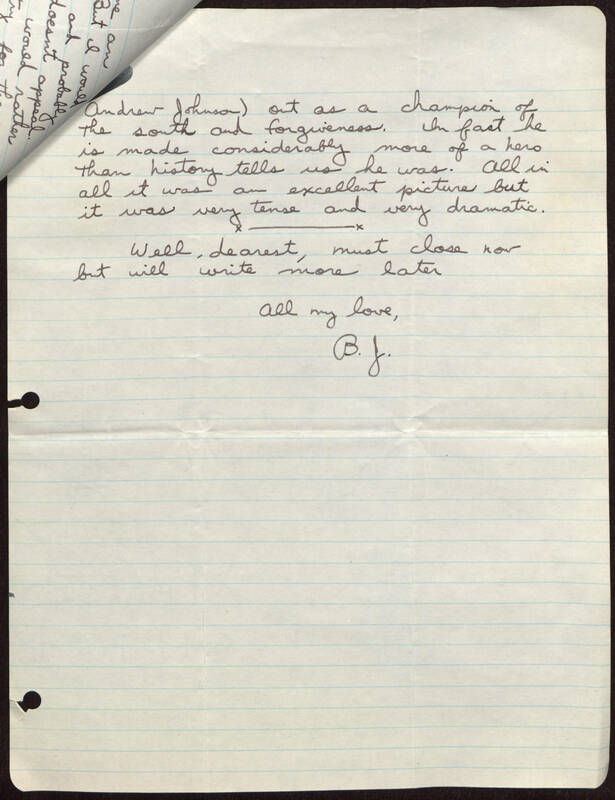 All my love, B.J.